Language. Art. Architecture. Religion. Food. Fashion. Business. Technology. Industry. It only takes a day to traverse the beautiful landscape from north to south of this country, but it takes so much longer to truly understand its culture and people. Bonjour! Have you ever thought about living in one of the most beautiful places in Europe? Consider France! Known for food, art, dance, music, literature and much more, France is a country that is easy to fall in love with. Gaze upon the Eiffel Tower, or relax on the beaches in the south, and you'll learn to live the good life and enjoy it - the joy of living, or "joie de vivre" will be clear over and over again! You will experience “joie de vivre” in multiple aspects of daily life - the food, the literature, the variety of landscapes, and the music you hear. Be open to every opportunity that comes your way to discover some of the richness the French enjoy every day: a visit to a local farm, the discovery of traditional crafts, or a local concert. However, the richness doesn’t end there! World renowned for their delectable cuisine, you may taste the richness in many creamy dishes and in a plethora of their savory cheeses. Bon appétit! In addition to these simple pleasures, you may also have the opportunity to visit local monuments, chateaux, festivals, outdoor adventures, or museums like the Louvre. Your school may also offer opportunities such as short trips or cultural events like going to plays, music festivals and dance performances. On the academic programs, you will be able to experience the social life of the French teenager while also attending school. French secondary education consists of the Collège and the Lycée (roughly the equivalent of Junior High and High School) that are among some of the best in Europe. There are also youth groups, sports clubs and art schools that offer extra-curricular activities outside of school. French schools tend to be demanding and last longer than many students are used to - generally until 5:00 or 6:00pm. While this makes for a long school day, students make the most of their free time on the weekends. So what are you waiting for? Apply to France and have the time of your life! All students are required to provide proof of third-party liability insurance for their visa application. Information regarding visas and other immigration processes will be provided upon enrollment. Program tuition does not include personal spending money, transportation to/from school, textbooks, or funds for extra-curricular activities or field trips. 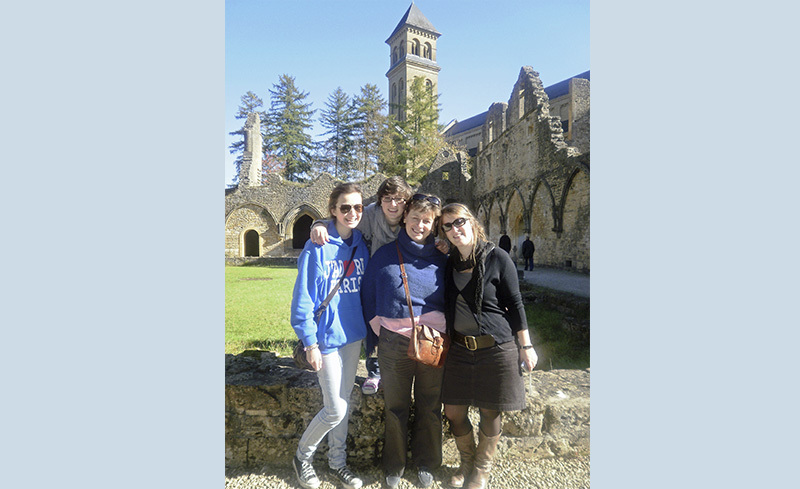 We ask that in addition to all of the supplemental application documents, students applying for our program in France also submit a letter to their prospective host family in French. Students will also need to submit several France-specific forms that will be provided to you by our Registration department- the travel and visit form and a statement of agreement. We will also require a colored copy of the first page of your passport for visa purposes. While in France for a year or semester you will get the chance to experience the social life of the French teenager while also attending school. French secondary education consists of the Collège and the Lycée (roughly the equivalent of Junior High and High School) which are among some of the best schools in Europe. Your academic time in France will be spent at the lycée (high school). At the lycée d'education generale, you will take compulsory courses, such as history, math and languages. Compulsory classes are taught in French. If you are placed in the second year of lycée, you may choose a course of study, generally from literature and philosophy, economics and social sciences, or science and math. French schools tend to be challenging. They require students to memorize most material and the day lasts longer than many US students are used to - generally until 5:00 or 6:00pm, so be prepared for the extra hours! Lunchtime in France usually lasts 1-2 hours. This would be a great time to catch up with friends while you enjoy your lunch from the school “cantine.” Students may also show their individuality as uniforms are not required for French schools, however it is encouraged that students dress neatly and in presentable clothes. All students applying for the semester or year program must be available for a mandatory 3-day National Pre-Departure Orientation, which usually takes place in mid-July or early December. This orientation is a required part of your program aimed to prepare you for your experience overseas and is covered through your program tuition. All students will participate in a one-day local pre-departure orientation in May or June. 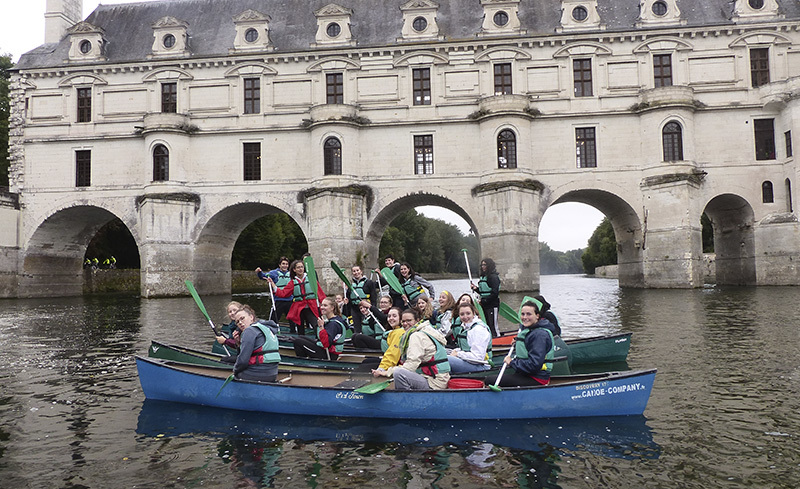 Upon arrival in France, Year and Semester program students will attend a two week intensive summer language and culture camp located in Tours. 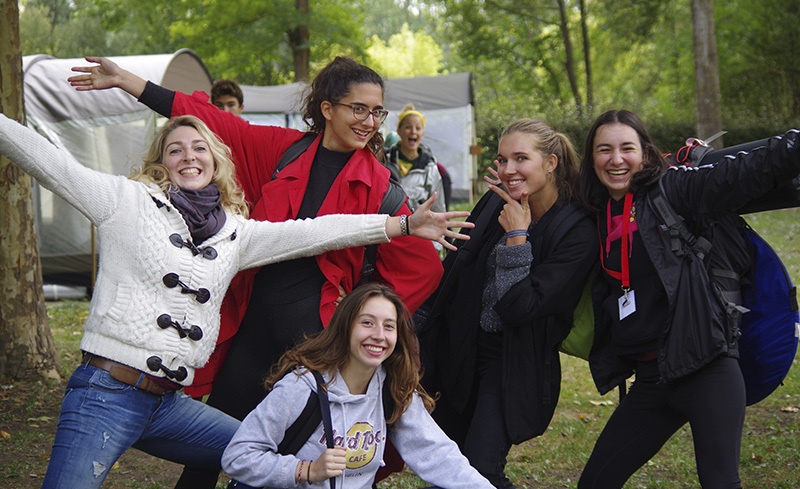 The camp will offer about 30 hours of French language instruction as well as a day trip to a castle in the Loire Valley, outdoor games, and fun activities with local host families and fellow exchange students from around the world. After the camp, students will attend a welcome orientation to introduce you to France and help you explore elements of French life. Three regional orientations are offered to year students and host families to help you evaluate your personal growth and to prepare you for the best use of your time in France. Semester students will only attend one of these orientations. Towards the end of your stay, a departure orientation will allow you to share with other participants what you have learned and prepare you for your return home. While most French schools do not offer extracurriculars, most students enroll in community youth groups, sports clubs and art schools. To find these activities, students can ask their host family or go to the town or city council to find activities in your areas to try. Year and Spring Semester students may have the option to participate in the YFU Young Europeans' Seminar, a weeklong program of seminars, educational workshops, inspiring guest speakers, panel discussions, and other activities. The Seminar takes place in Germany in late June and is attended by around 500 other YFU exchange program participants from across the continent. Space is limited and participation requires an additional application and fee. Spring 2019 departure: July 1, 2001 - December 30, 2003. Fall 2019 departure: July 1, 2002 - August 29, 2004. Students who do not meet this age requirement or will graduate before the start of their program will be considered for admission on a case-by-case basis. French. There is no language requirement for YFU programs to France, however year and semester program students with no previous study of French will be required to attend a mandatory 2 week French Language & Culture Camp prior to the start of the school year, which is included in the program tuition. Students with more advanced French may test out. Students in France are usually placed in small country towns (2,000 - 10,000 people) or small sized cities (10,000 - 125,000). Students are rarely placed in Paris or other large cities. The most important part of daily life with your host family is the evening meal, where you will share stories and news of the day! Spring 2019 departure: July 1, 2001 - December 30, 2003. Summer 2019 program: July 15, 2001 - June 14, 2004. Fall 2019 departure: July 1, 2002 - August 29, 2004. Students who do not meet this age requirement or will graduate before the start of their program will be considered for admission on a case-by-case basis. Calling all foodies! With an itinerary of cooking and gardening classes and trips to a chocolate factory and dairy, this program will give you a literal and figurative taste of French cuisine and gastronomy. Not much of a chef? No worries! Fans of architecture and history will also enjoy the many opportunities to step back in time and visit the world-famous Châteaux of the Loire Valley. Those who like a more outdoorsy experience will have plenty of chances to be active with bike tours, scavenger hunts, picnics, swimming, and a trip to local caves. Or are you the big city type? Don't worry, the program concludes with a whirlwind tour of Paris during one of the most exciting times of the year: Bastille Day. Day 1: Depart for France. Day 2: Arrive in France, train to Tours, in central France. Meet your host family. Days 3 & 4: Free weekend with host family. Day 5: French lessons and local scavenger hunt game in the old town with your host siblings. Day 6: French lessons and field trip to a local dairy, where you will sample and learn to make goat cheese. Day 7: Engage in a guided cross-cultural workshop. Bike tour and picnic. Cool off while you explore the caves in Savonnières. Learn about the area’s unique geology through the incredible limestone sculptures and other natural and artistic creations of the caves. Visit the Château de Villandry and its beautiful gardens. Day 8: French lessons and picnic, followed by a gardening workshop. Learn the game of pétanque with host siblings. Free time at the shopping mall. Day 9: Day trip to Château d’Amboise, the royal residence of Kings Charles VIII and Francois and the chapel burial place of Leonardo da Vinci. See Château du Clos Lucé, da Vinci’s home, now a museum. Days 10 & 11: Free weekend with host family. Day 12: French lessons and field trip to a chocolate factory. Day 13: Experience famous French cuisine and gastronomy as you shop at the farmers' market and take part in a cooking class. Afternoon with host siblings at the pool or beach. Day 14: Participate in another cross-cultural workshop and picnic. Afternoon visit to the famous Château de Chenonceau with a possible boat ride down the Cher River. Day 15: French lessons and afternoon exploring Tours, with its charming Town Hall, historic architecture in Place Plumereau, and delicious local food. Farewell party with host families. Day 16: Train to Paris, the City of Light. Visit Notre-Dame and Sainte-Chapelle, go on a boat trip, see The Avenue des Champs-Élysées and Arc de Triomphe. Enjoy a meal at a Paris restaurant. Day 17: See the Bastille Day Military Parade, the Palais Garnier opera house and the Eiffel Tower. Have a picnic in Champs de Mars and cap off your stay in France by watching the Bastille fireworks! Day 18: Return to the U.S.
French. There is no language requirement for the YFU Summer program to France.